Very few things say "fall" like cables, so that's what we're knitting for our Fall knit-along! It's another "choose your own adventure" knit-along (KAL), in which you're in the driver's seat—choose your Berroco yarn (stash yarn is great), choose your Berroco sweater or cardigan pattern (don't worry, we have a very comprehensive list of options), and get ready to knit with us starting October 1. But you don't have to knit Kernmantle! 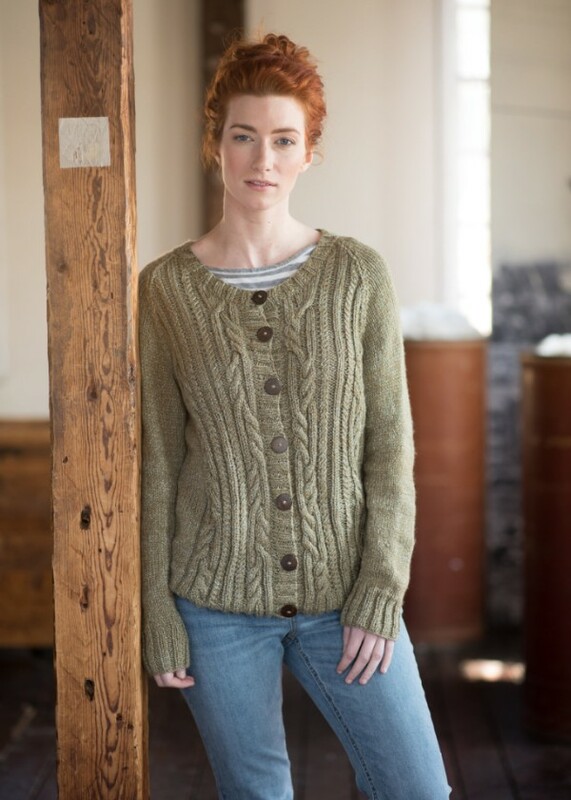 You could knit Astilbe, a free cardigan pattern knit with Berroco Remix® (shown below). Or Riasa, knit with Berroco Catena®. Maybe you want to knit a brand-new pattern, such as Gateshead, in our brand new Berroco Mercado™. Or this week's free pattern Arya, knit with Berroco Ginkgo®. Or any of the 40+ patterns mentioned in the knit-along blog post. Really, there are probably too many patterns to choose from and you can all yell at me about how long your queues are now, it's fine. We'll have our usual dedicated thread in the Berroco Lovers Ravelry group—you will need a free Ravelry acount to post in the thread. We'll also be talking about the knit-along on the Berroco blog and on social media. 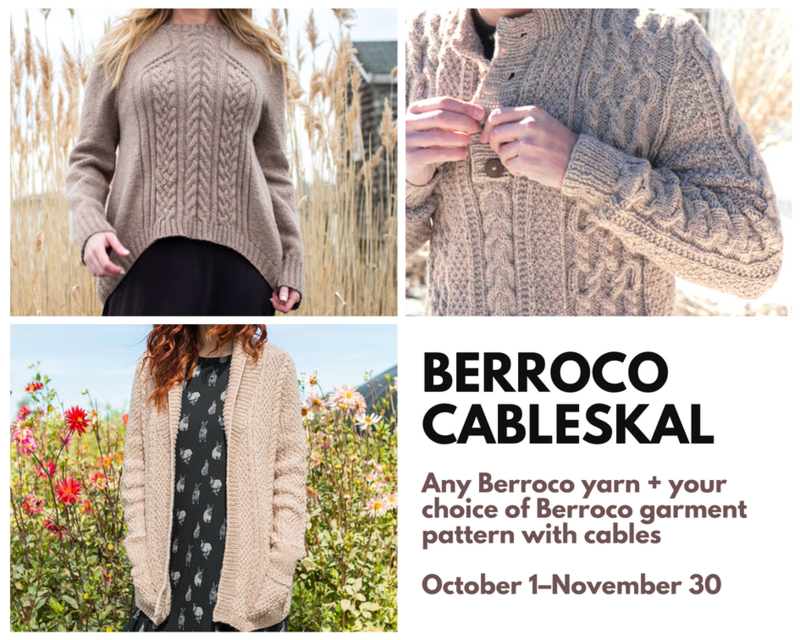 Make sure to tag @berrocoyarn on Instagram, Facebook, and Twitter so we see your projects, and use #CablesKAL so everyone can see all the delicious cables in one place! New to cable knitting? Don't worry—we've got some easy cable patterns listed (such as Linea, knit with Berroco Ultra Alpaca) and we have an amazing community of repeat knit-along participants who are great at encouraging everyone and answering questions. Plus, I'll be there knitting right along with you and sharing tips and tricks to knitting cables. And we'll have some prizes along the way! This week's free pattern is a prime choice for a knit-along project! Arya features simple cables winding up the fronts and back of a long and cozy raglan-sleeve cardigan. Knit in Berroco Ginkgo® (shown here in new color 9673 Peridot), Arya is sure to be one of those garments you wear all fall and winter. Head to the Berroco blog to see all the pattern inspiration and let us know if you're joining the fall knit-along!